We're happy to answer questions between bottles of rum and hearty songs. Cash, credit, and beaver accepted. Made from 100% cotton and fit for a King. 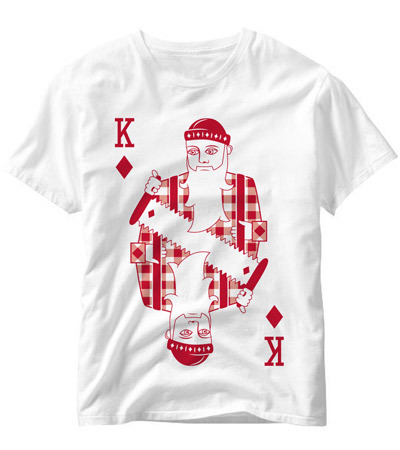 This premium tee features a monochrome design of the King of Diamonds.